A spot of light rain. Which only seems to bother the chap on the left. Peeking out of the Nihola in a rain shower. 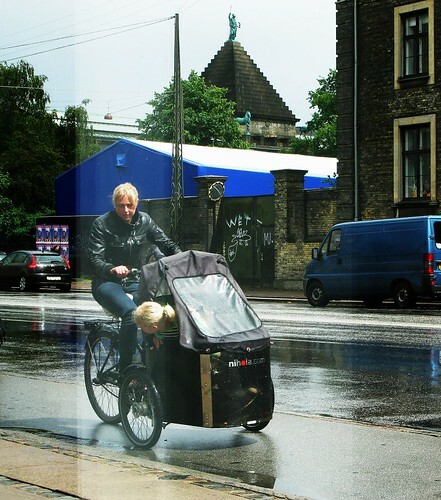 Your paths are always crossing in Copenhagen. 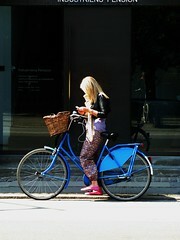 Checking text messages is almost as important as riding your bike in Copenhagen. Almost. Woah! That building in the second to last photo is gorgeous! 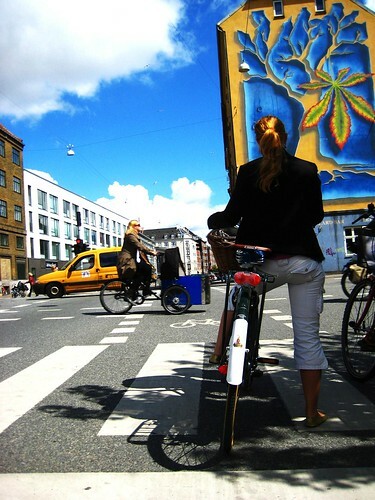 Is it just me, or is everybody in Copenhagen completely beautiful? it's a wall mural down the street from here. agree with krista. 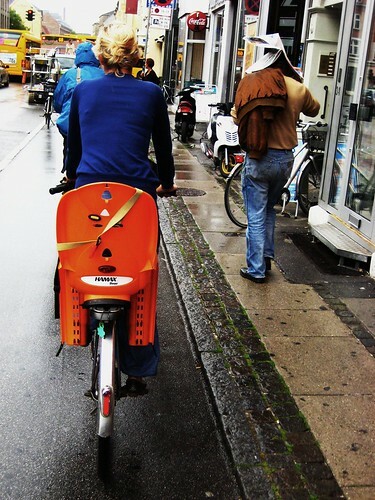 I`m married, but if I wouldn`t I would be the first to take a plane to copenhagen and meet a blond beauty girl to get married, whith strong legs to carry my kids on a cargo bike, ja ja. I hope my wife don`t read this. This blog is great. Brings back memories of my too short visit to Kobenhavn. Looking forward to going back for my friend Danish Mike's wedding in 2009! copenhagen awaits your return from Montréal! Even with bad weather yout girls never loose the style! Just like sycophantic backstabber said this blog is great, in fact this blog is really really great !!! We're hopping, me and my boyfriend, to get married in Amsterdam next year, but to spend our honeymoon in København, our future homeland. By checking these photos, I should get more style before moving !!! sounds lovely, manon. you're welcome anytime in Copenhagen!